We had an awesome opening night at Adventures in Comics 2 with a fantastic talk from Paul Gravett. He announced his favourite ‘LIFE BOAT‘ entry on the night . . . congratulations Stuart Atholl Gordon & T’Sao Wei for your tremendous entry. A copy of Paul’s 1001 Comics You Must Read Before You Die will be sent to you! Well done. A huge thanks to all of you for entering, the entries this year were superb! 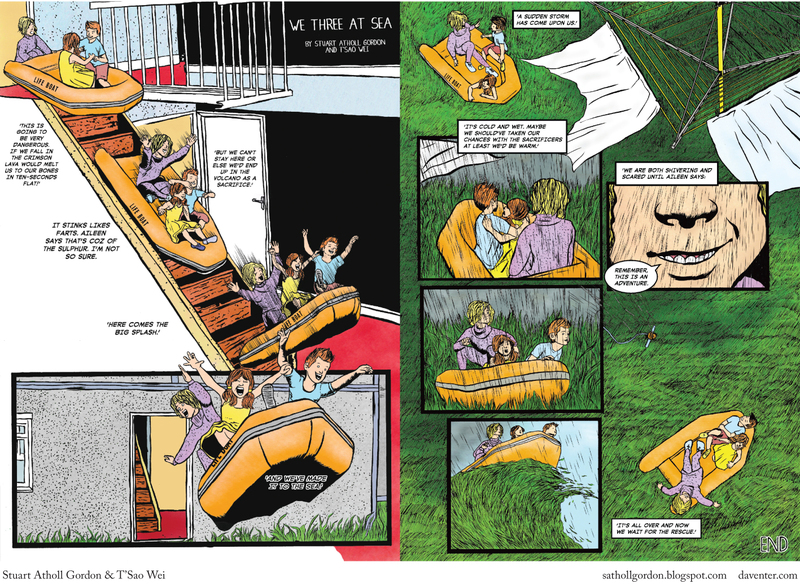 All of this years LIFE BOAT entries will soon be uploaded to the AIC website www.adventuresincomics.org so stay tuned! § One Response to LIFE BOAT! Yeah! Can’t agree more. Lovely piece of work. Reminded me of Maurice Sendak. Shame I didn’t win but this was a belter! You are currently reading LIFE BOAT! at adventures in comics.